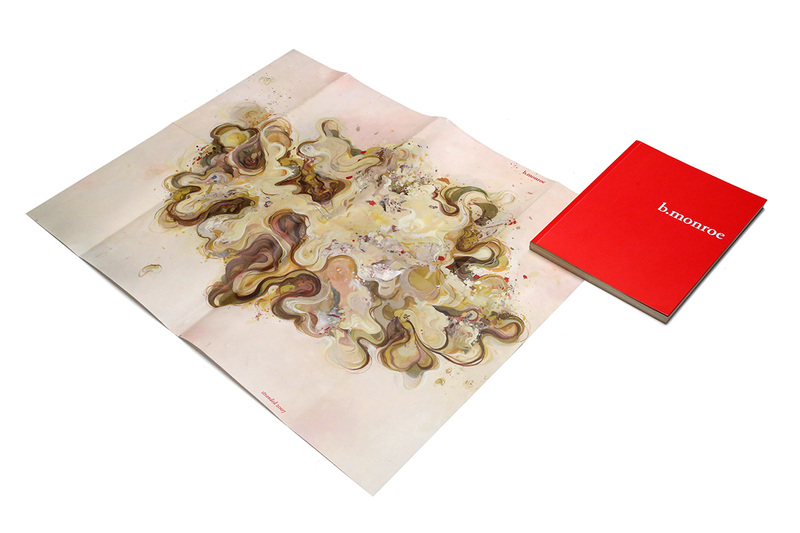 An artist monograph documenting artist Brendan Monroe’s first major body of work. 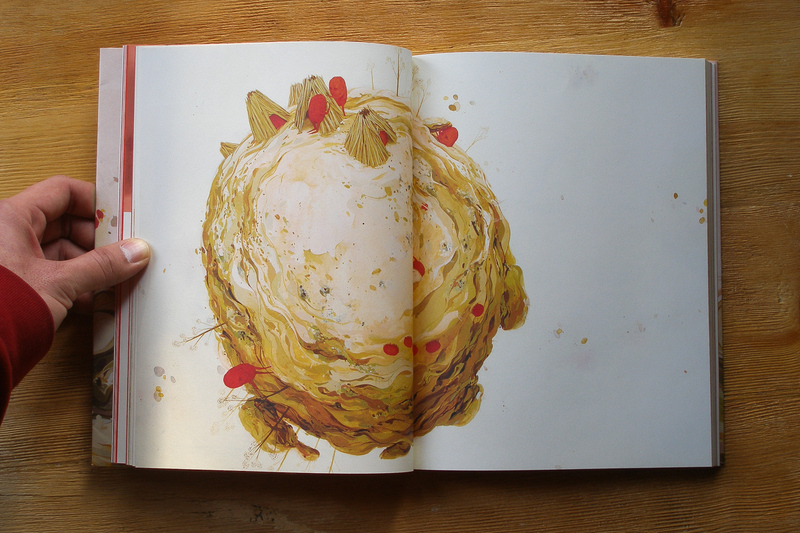 Collaborating closely with the book’s artist, Brendan Monroe, and publisher, Paper Museum Press, Product Etc was responsible for the designing, editing, and creative direction of the book. 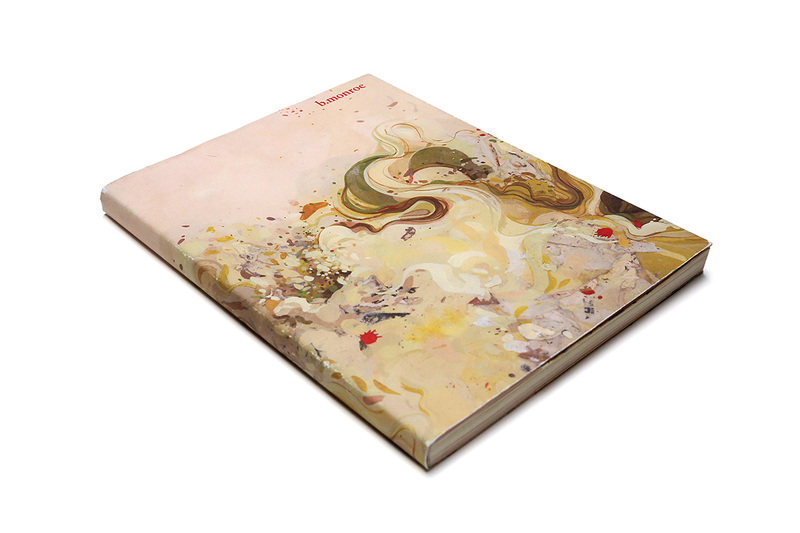 The monograph is 165 pages and includes over 120 pages of paintings, sculptures, and installations accompanied with approx. 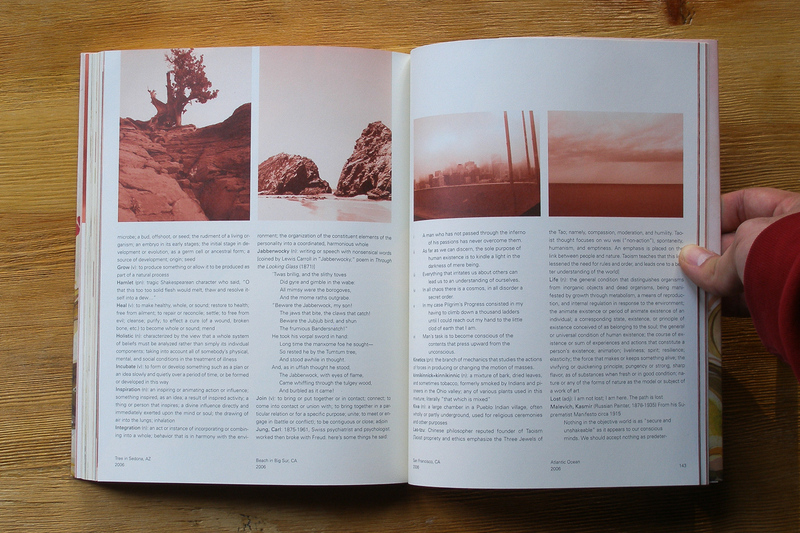 25 pages of writing and photography about the artist and his work. 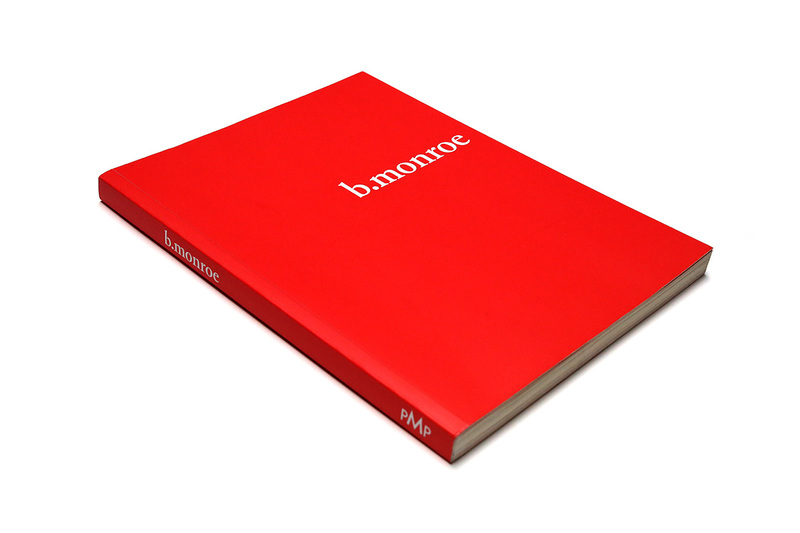 Sometime in late 2006, we received a call from Brendan Monroe asking if we’d be interested in designing his first book. 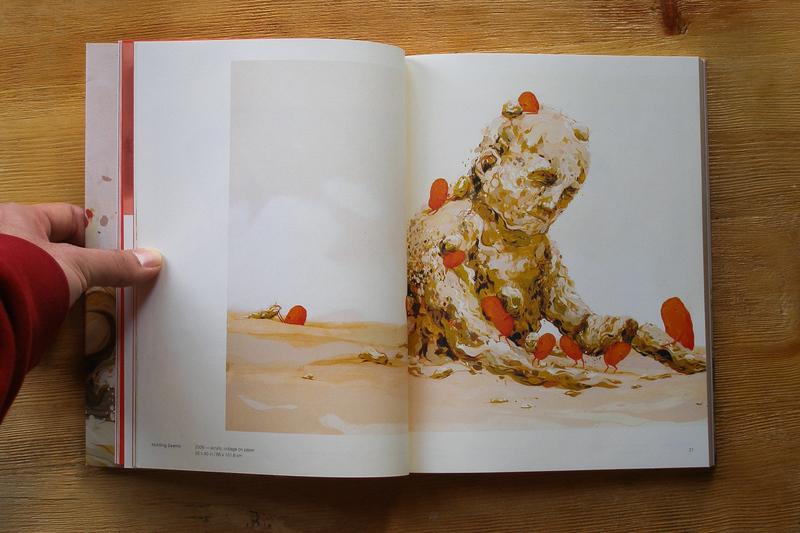 The book would be an artist monograph, which is a study detailing an artist’s specific body of work or career. 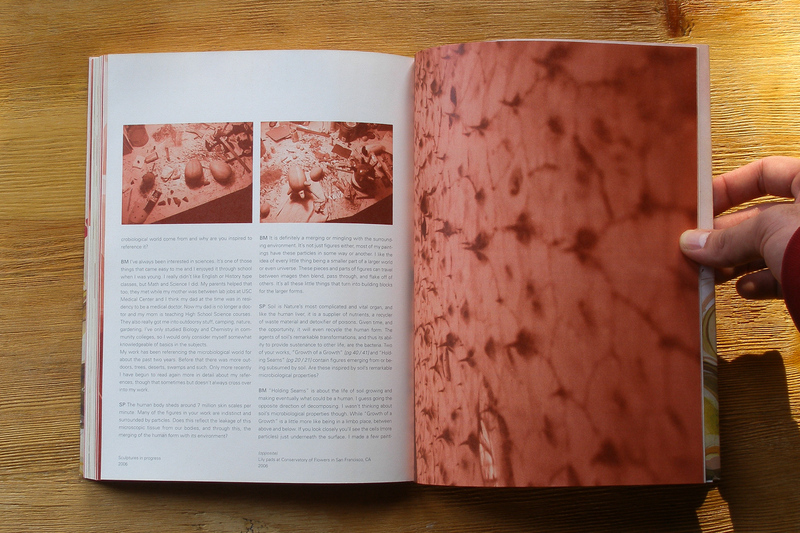 We were not only thrilled with the opportunity to collaborate with Brendan, but to help him and Paper Museum Press tackle a 200 page artist monograph. 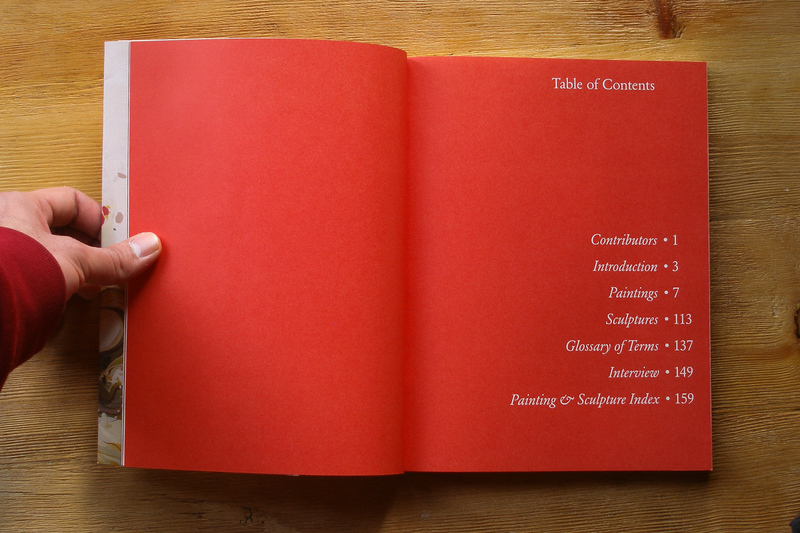 To get started, we needed to collect all the content that would be included in the book. 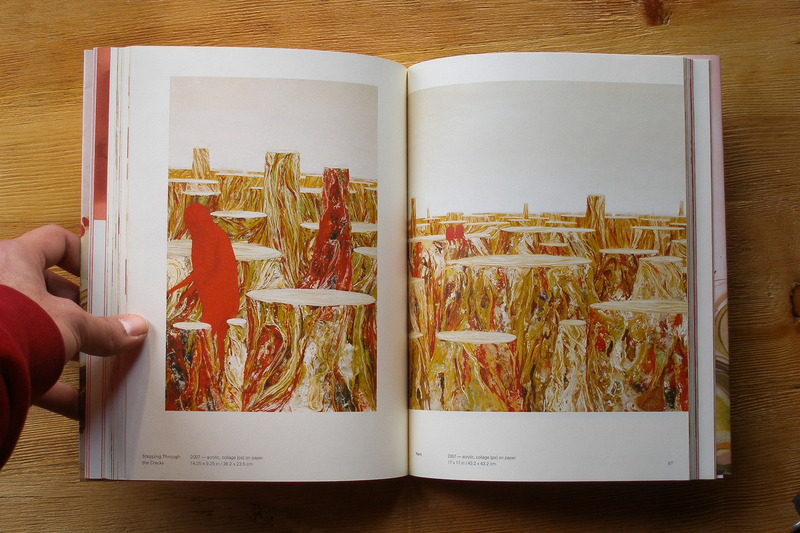 Brendan had beautifully detailed photographs of all his paintings, but no writing or miscellaneous photography that offered insight to him or his work. Since recorded history, books have been objects that are used to thoroughly document subjects and ideas for the present and posterity. Books stick around and are collected for generations, and have been used to promote and disseminate ideas. With that in mind, we suggested to do no less for this book. So we tasked Brendan with reaching out to curators, art critics, fellow artists, etc., to collect writing on him and his work. This was important because at the time he was a fledging California artist, and starting to attract attention from collectors in Europe. 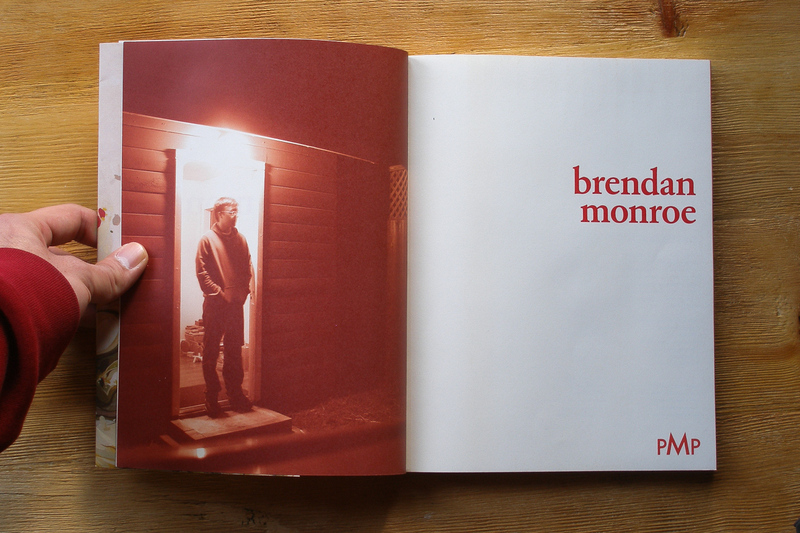 So we wanted everyone interested in Brendan’s work to be able to purchase this book, and get a good idea of who this young artist from California was. 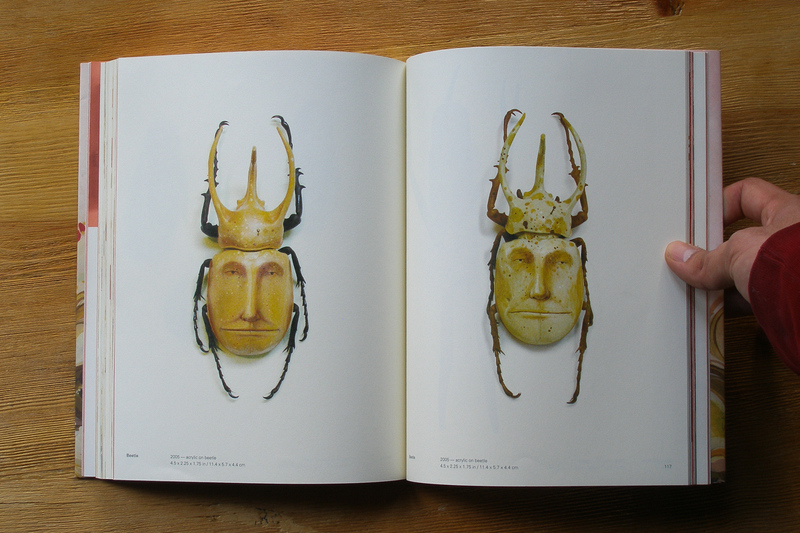 After about a year of gradually collecting, and editing the additional content, we had a 162 page book with writing, photographs, paintings and sculptures. 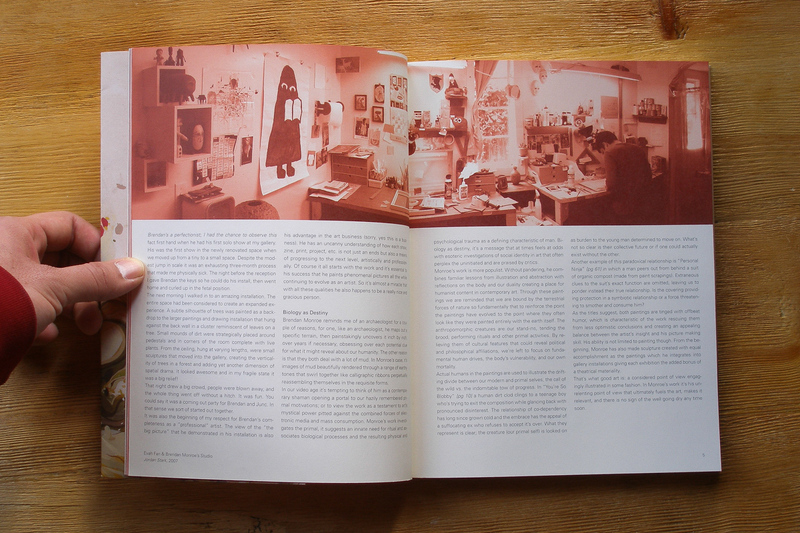 We finished the design, gone through a formal copy edit, several rounds of press-checks overseas, and now had the finished product in our hands by early 2008. 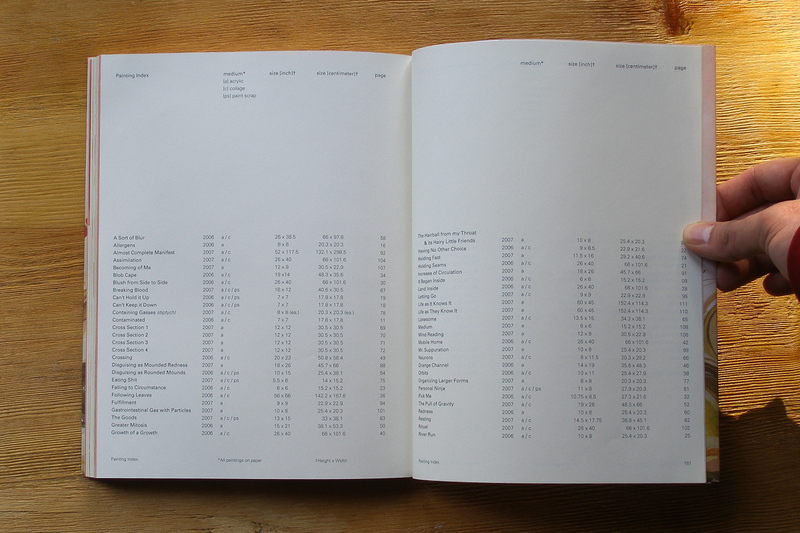 It was a long, but wonderful, process that yielded a great piece of printed, bounded matter.